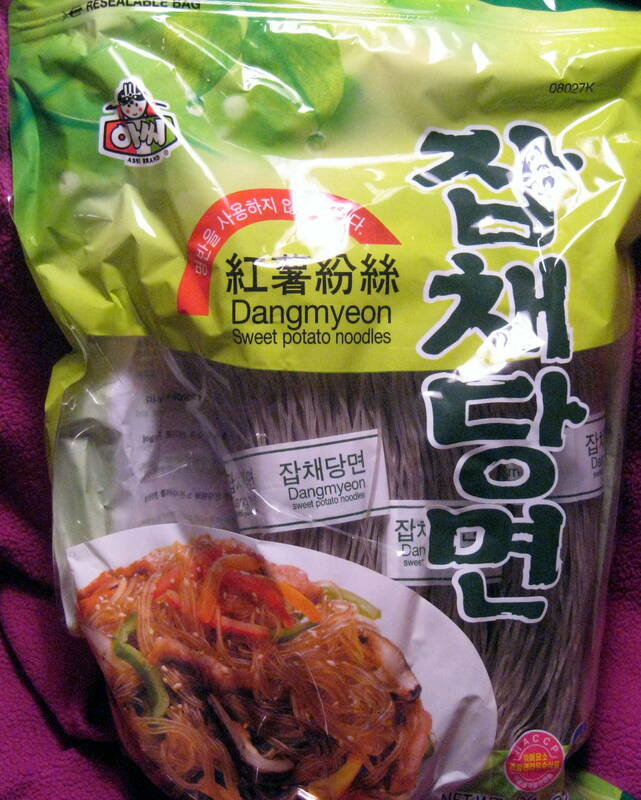 The giant bag of sweet potato noodles is one of our favorites. The noodles soak up the sauce and hold up well for warm and cold dishes. They also make delicious leftovers without losing their texture. While the noodles are cooking, blend together the soy milk, Braggs, garlic powder, cornstarch, mustard, and nutritional yeast. Drain the noodles and melt the Earth Balance in the pot on low heat. Add peas and the sauce mixture, bring to a boil, then simmer on low for a minute or two. Add the drained noodles, mix well and taste for seasoning. Just a quick stir-fry with garlic, broccoli, cashews, green onions and sweet potato noodles! This year, we’re making life simpler. For this cashew sauce, we’ve borrowed lots of ideas from lots of places, but this is what we did last night. While the noodles are boiling, blend together the sauce ingredients. Drain the noodles and rinse with cold water. Cut them with scissors to your desired length. Heat Earth Balance in the pot and saute shallot. 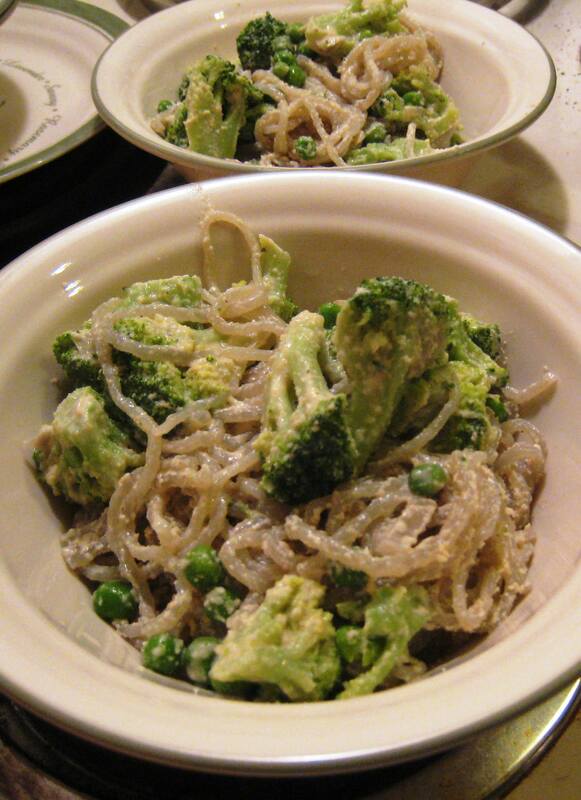 Cook about 5 minutes, then add broccoli and peas, season with salt, pepper, and garlic powder. 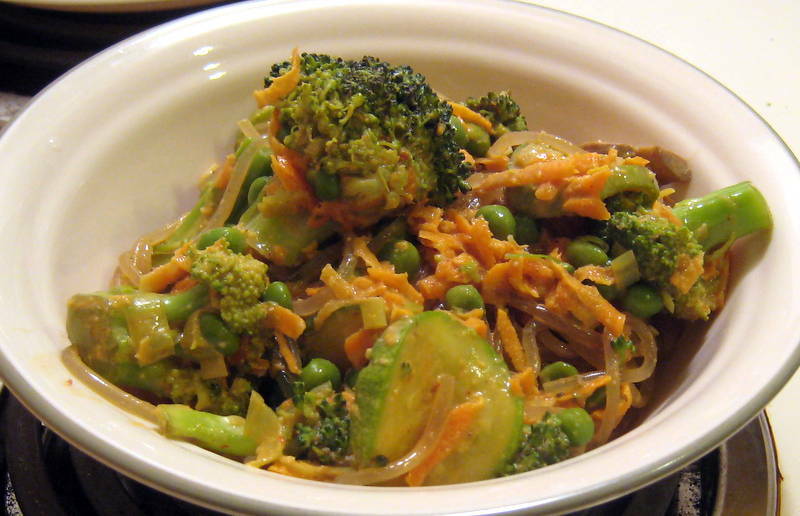 When veg is cooked, add noodles and turn heat to low. Toss with the sauce. 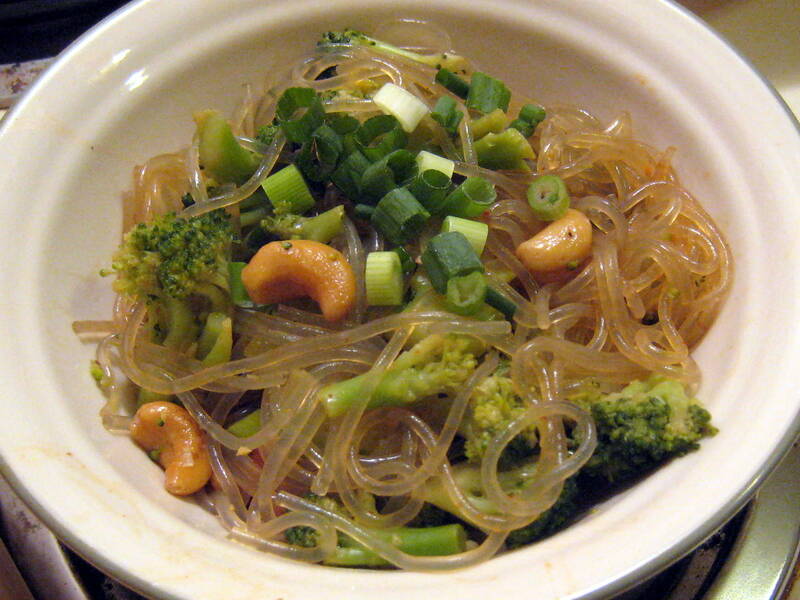 Is there anything more delicious than peanut noodles, except peanut noodles with a million pieces of broccoli? 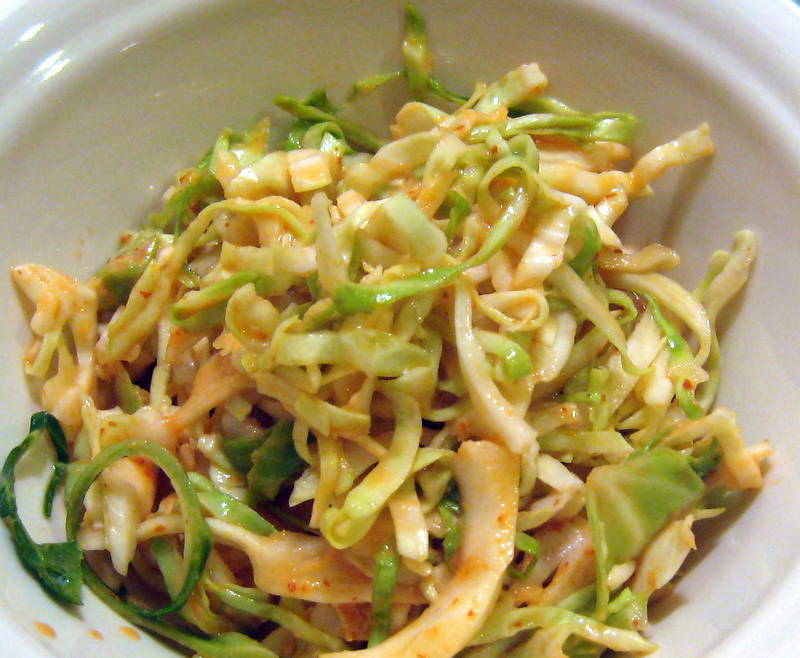 Don’t forget a side of spicy slaw: cabbage, Siracha, tahini, vinegar, a Braggs. 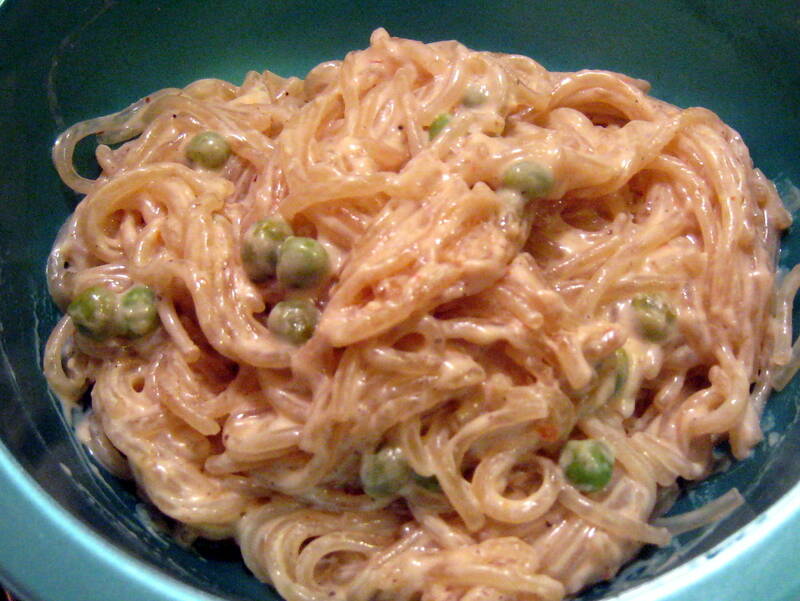 If you’re tired of rice noodles, try these delicious sweet potato noodles. They don’t get soggy, which makes them great for leftovers and noodle soups! 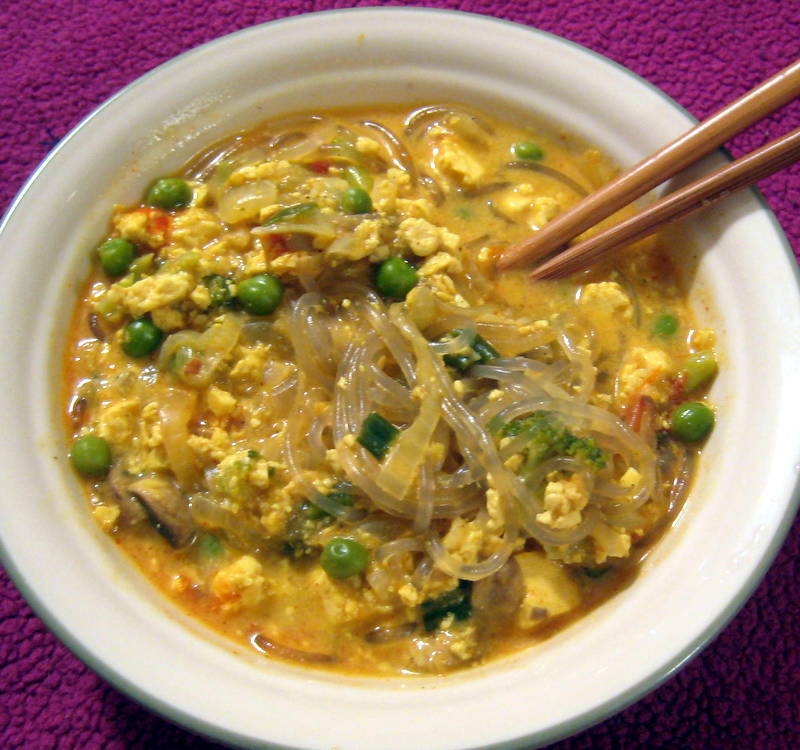 For this dish, we made a yellow coconut curry and stuffed it with tofu and vegetables. Top it with Siracha!